Phonations | Efficient, user-friendly, powerful, the rythmo band tradition brought into the digital universe, offering the best of both worlds. Right click here if you want to download an HD version of the video for testing purposes. Our current product is a dubbing system that uses rythmo band technology. This technology has been used in France and Canada since the 1960’s but has joined the digital world only 10 years ago. Rythmo band technology has always been the most efficient dubbing technology due to its perfect synchronization with the picture. 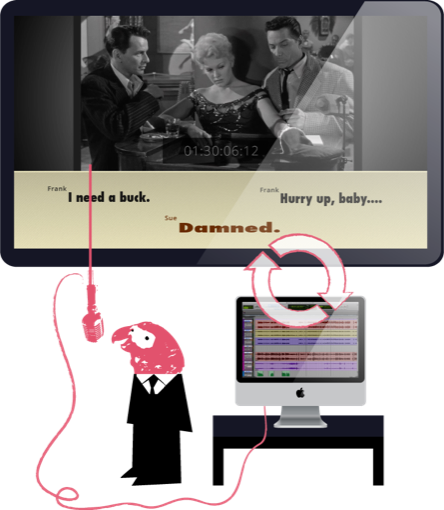 With the help of the scrolling text, the image and precise and easy audio cues, voice actors can read more lines per hour than with the ADR system. By using the Sony 9 pin protocol, a serial cable and a video reference signal, our product synchronizes with audio recording software (Pro Tools, Cubase, etc.). The image and rythmo band will run, while the audio will be managed in the audio software that also controls the transport actions (play, record, etc.). The system is very precise and user-friendly. The rythmo band scrolls at a steady speed under the image. When the text touches the red synchronization bar, this is a sign for the voice actor to start talking. When the text has completely scrolled under the red bar, this cues the voice actor to finish his sentence. Our product is compatible with Cappella and .DetX files or you can simply import MS Word® .DocX files. More file formats will be supported in near future (Mosaic, VoiceQ, DubStudio, Synchronos, Annotation Edit, etc.). The internal rhythm of the sentence is not necessarily linear, which makes it possible to respect the rhythm and intonation of speech (prosodic saliences). 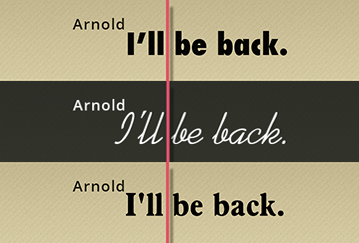 The font is customizable to adapt to the user’s needs and experience (Script, cursive, etc.). Unlike the ADR system, the rythmo band does not cue the voice actor with a countdown, but rather allows them to see the start and end points of their performance. It also allows them to see the flow and the rhythm of the conversation. This allows a longer recording sequence which saves a lot of studio time. Compatible with Pro Tools versions 7 to 10 with Machine Control plugin for Sony 9 pin protocol support. A collaborative work environment and forum providing access to documentation and support material for different users. A game version of the application which will allow you to have a lot of fun with this professional user-friendly tool. Support: Various levels of support contracts are available. Our support service guarantees the proper functioning of the application. Our team of experts will be there to answer your questions and help you solve any issues you may experience. It is also possible to work with a local company who will take care of the support for you in your time zone and your area. This company will take care of level 1 support and our team will be there to solve your level 2 and up support requirements. Additional development (adding new features and functionalities) for all your customized needs.  Phonations was created in 2012 by the partnership of Martin Delille and Guy Desdames with the intention of developing software and services for audiovisual post-production and dubbing industry, at the service of the global community. Phonations specializes in the synchronization of sound tracks and the image, using the rythmo band technology. 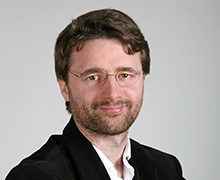 Martin Delille created an R&D lab for two major companies: Chinkel and Dubbing Brothers. A computer science and electronics graduate, Martin wears two hats at Phonations: Lead developer and post-production expert. Between 2006 and 2008, Martin fully redesigned the Cappella software to make it more ergonomic and efficient. Despite the updates made by Chinkel, Martin’s 2008 version, which is more stable, is still used by the majority of Cappella users. 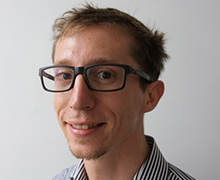 Martin speaks French, English, German and Spanish, has attended several dubbing sessions in Germany and Italy as well as in United States and is dedicated to make his product usable and available to the international community. 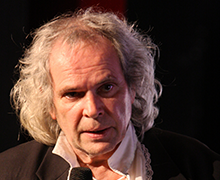 Guy Desdames created the Orphée machine in 1988 as a first step to modernize dubbing writing equipment. The machine shrunk the hardware from the size of a piano to the size of a printer. In 1990, he developed the first NTSC rythmo band machines for North America (in Toronto and Montreal). In 2006, he received funding to develop a tapeless hybrid machine using digital video files in the dubbing writing process. On top of his engineering feats, he has done just about everything there is to do in the dubbing business, serving as author, actor and dubbing director on different productions. He has also organized and presented numerous industry events to publicize, promote and bring progress to the dubbing industry. Grégoire Parcollet created Cappella, the first rythmo band based software in the world for lip-synching specialists and dubbing writers, between 1996 and 1998 and founded Chinkel, a dubbing studio using this technology. The economic advantages of digital technology in the dubbing and post-production industry enabled him to penetrate the dubbing market. Winner of the 2001 Talents competition, sponsored by Microsoft, for Nestor Technologies, he also created enterprise management software called CROM, specifically for audio-visual businesses. He is currently the Managing Director of the Woods Media Group, specializing in localization, production and programming services for the global market. 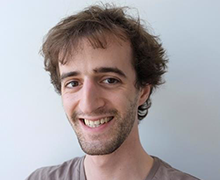 Thomas Ayoub is a young developer studying computer science at IUT d’Orsay. At the age of 14 he won the Junior Chess championship in Paris; he is an amateur photographer and an avid rollerblade fan.